There is increasing demand for protected areas to achieve poverty reduction in addition to biodiversity conservation. However, given the increasing reliance of rural communities on natural resources and the unpredictable and complex nature of social systems, coupled with inadequate managerial and financial capacity in protected area networks, there are often few measurable outcomes in developing nations. Success stories do exist though, and the ‘Tamshiyacu-Tahuayo Communal Reserve’ is one such success story. Brought to you from the biologically richest part of the Amazon Rainforest, a collaboration between two fantastic conservation organisations and local communities is successfully protecting this unique jungle wilderness. 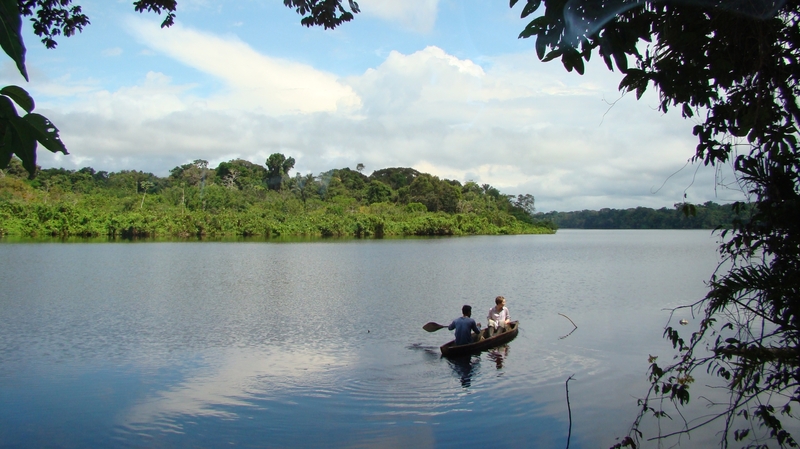 The Tamshiyacu Tahuayo Communal Reserve (TTCR) in northeast Amazonian Peru was set up in response to large scale commercial resource extraction by external companies. The reserve is managed by the local communities, who collaborated closely with the Wildlife Conservation Society (WCS) and the Durrell Institute of Conservation and Ecology (DICE) to assess wildlife populations in the reserve and set hunting quotas accordingly. They used a series of sustainable hunting models that could be understood by the communities allowing them to evaluate the wildlife populations. Effective management has been achieved using source-sink areas, catch per unit effort modelling, evaluation of hunting impact using harvest models and habitat protection. Additional incentives include the permission for sustainable bush meat hunters to partake in the Peccary pelt trade providing additional income. The success of this project can be largely attributed to the common interest between the local communities and conservation organisations that wanted to limit uncontrolled exploitation by outsiders. The reserve does not benefit from ecotourism and anti-poaching patrols do not exist. Social pressure is used to enforce hunting rules. The management approach implemented in the TTCR has scope to be transferred to other protected areas in the Amazon where communities are willing to work closely with conservation organisations to manage forest resources.